Day 1 - My first day at round midnight was very enjoyable. First, we went to Tile Cross Academy to do a Characterisation workshop with the year 11 GCSE drama pupils. We did multiple exercises to improve the characterisation of the students such as, improvisation, posture and body language. I feel as the lesson went on, the year 11's really came out of their shell and joined in more and enjoyed the session thoroughly. Then we went back to the office and had a meeting with Crime Stoppers and Fearless. 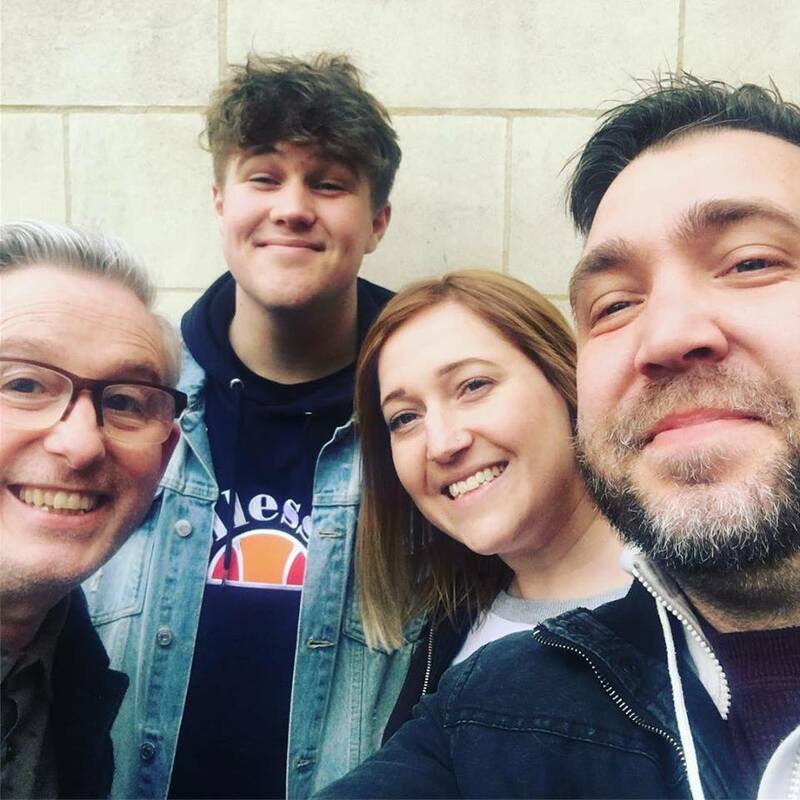 Round Midnight discussed how to move forward with a new and exciting partnership to continue the work they do around knife crime. Day 2 - Today I sorted the Midnight F.E.A.S.T folders out - Midnight F.E.A.S.T is a 4 day program for young people in the Easter Holidays. The participants take part in singing, dancing, acting, film and comedy. I sent emails regarding medical information and the child’s information to all the parents, made a poster to advertise Midnight F.E.A.S.T and then uploaded it to Facebook, Twitter and Instagram. Then Sami and I wrote some script for Round Midnight's youth theatre, Raw Talent. We wrote scene 4 for the 6-11 years group. This was really good fun! 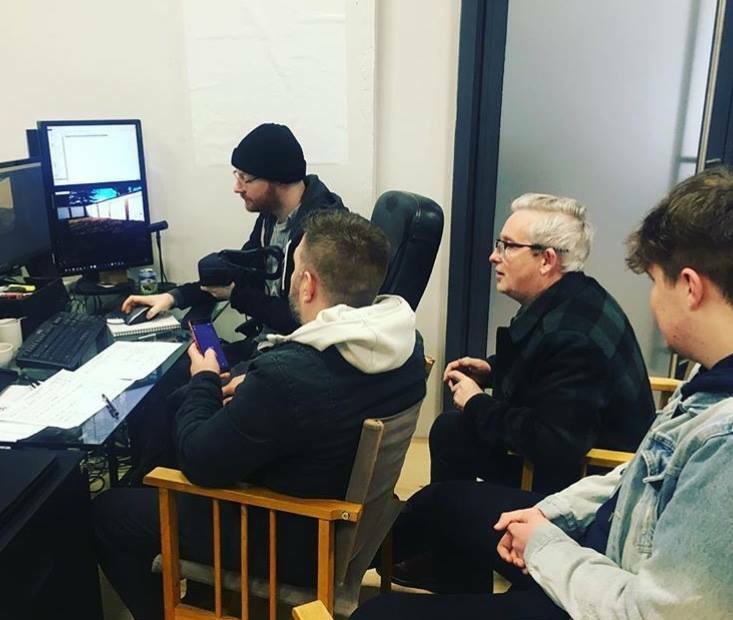 Then we went over to Raw Talent in Sutton Coldfield, where we did some warm up games and then worked on the script that Sami and I had written earlier. Day 3 - Today was an office day. I received information from the children’s parents for Midnight F.E.A.S.T and put that onto the spreadsheets and into the folder. I also created a Spotify playlist for the Raw Talent Singing Group – this includes all the songs they learn each term. Sami then asked me to create a document with lots of new vocal exercises. I researched this and found lots of fun vocal warm-ups for her to use in her singing sessions. We finished the day by writing some script for the older Raw Talent group, ready for tomorrow's session. 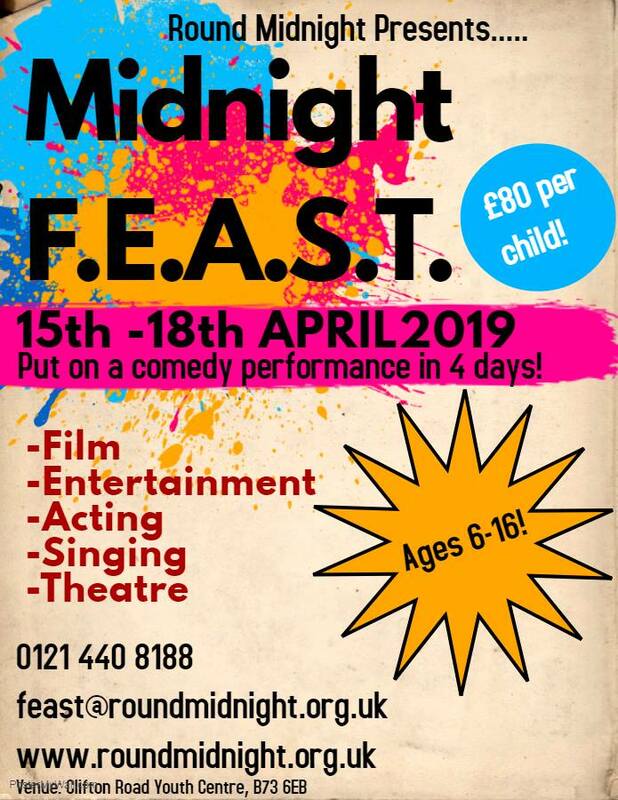 Day 4 - Today I began by going to Greenwood Academy to watch one of Round Midnight’s Theatre in Education performances Straight Talking which discusses the topic of homophobic language and behaviour. I enjoyed the performance - it was also really interesting to see the young audiences reaction to the piece, which was overall very positive. Then I went to UOB (University Of Birmingham) School and taught 2 hours of film with Phil. We then headed over to Sutton Coldfield for another Raw Talent session – this time the older 11-16-years group. We did drama skills, characterisation exercises, script work and singing. I enjoyed teaching one of the vocal warm-ups and getting involved in the medley! Day 5 - Today I went to Bristol with Sami, Phil and Stuart. Where we went and tested out Virtual Decisions, Round midnight’s new VR project that is going to be trialed in West Midlands' schools. In fact, I was told that I am the very first young person to trial the experience! This wasn't the finished version but it was still brilliant. 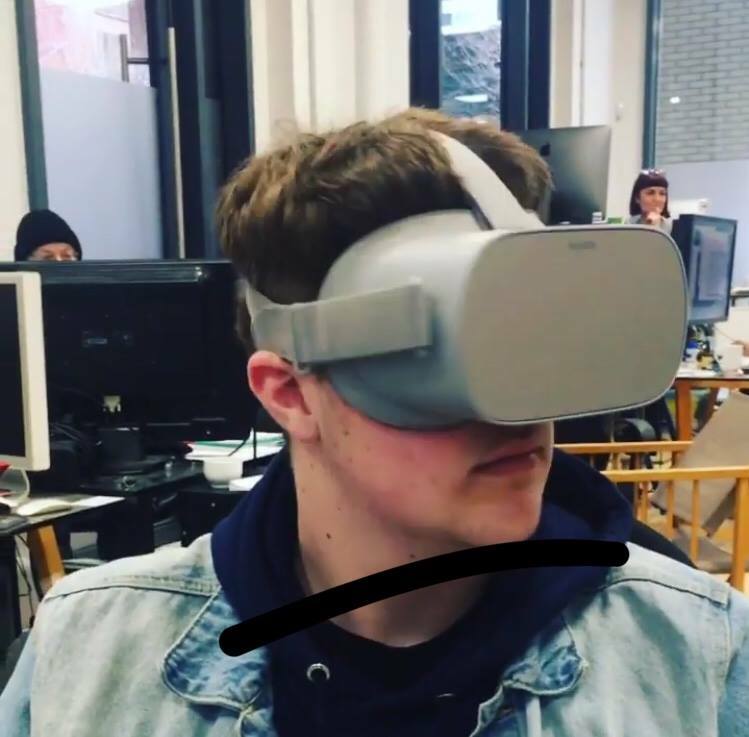 I found the VR in Education experience quite surreal as it was very realistic and very challenging as you have to make some big decisions in a small amount of time. We then had a meeting with the partnered company BDH and had a look at the editing process which was really interesting. Overall, this week has been extremely enjoyable, I have been pushed and pushed to try my hardest and succeed in whatever task I was given, so thank you Round Midnight for having me! If you are a school pupil or university student with an interest in the arts and you are looking for a work experience placement, email us at info@roundmidnight.org.uk for more information.